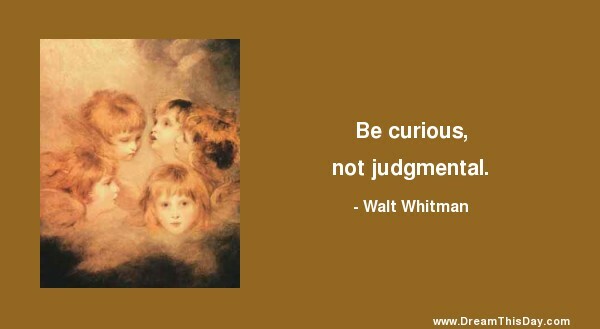 Being curious is a quality of youthful minds. Being judgmental is a quality of calcified minds. with an open heart and an open mind.